"I would see people roll their eye or I know they would be going, 'What a f’ing diva'." Speaking with GQ last year, singer/songwriter Dua Lipa spoke of her frustration at being taken seriously in her craft. "For a female artist, it takes a lot more to be taken seriously if you're not sat down at a piano or with a guitar," she told GQ. "For a male artist, people instantly assume they write their own music, but for women, they assume it's all manufactured." 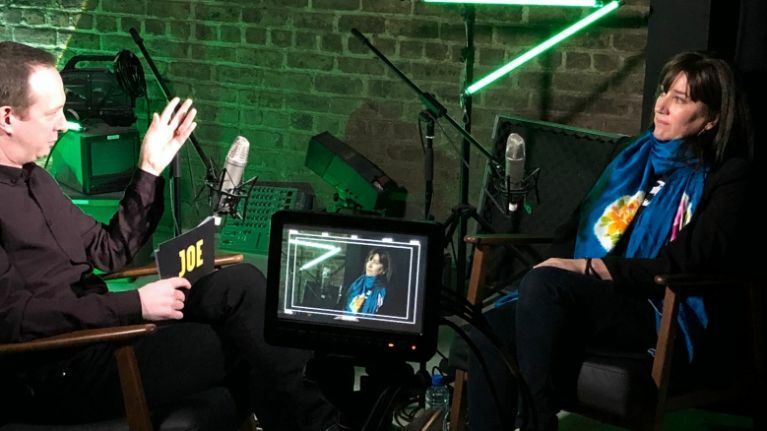 Maria Doyle Kennedy was the guest on Ireland Unfiltered this week with Dion Fanning and she shared her thoughts on sexism in the music industry, which fall in line with Dua Lipa's experiences. She recalled one brief story which illustrated the different reactions she and her husband Kieran have experienced when having technical issues with their sound while recording music. MDK: I would notice at sound check if Kieran was having difficulty with his sound and needed to fix it and address it and go over it and maybe do the same thing again and again, because the sound is really important obviously if you’re performing, and it’s really important to us. And how people would react to his, to what he was experiencing compared to if I also needed to fix the sound for some reason, like much more quickly I would see people roll their eye or I know they would be going, 'What a f’ing diva' whereas they would be reacting to Kieran as though like 'Oh, what a perfectionist'. DF: But they’re the same demand maybe, but you’re labeled differently - you’re a Diva. MDK: It was accepted in a different way.